Ridiculously Sublime. Or Sublimely Ridiculous. It’s truffle time again, and we made our annual pilgrimage to Oliveto in Oakland for dinner with David and Mari Lee and a celebration of overpriced Italian fungus. 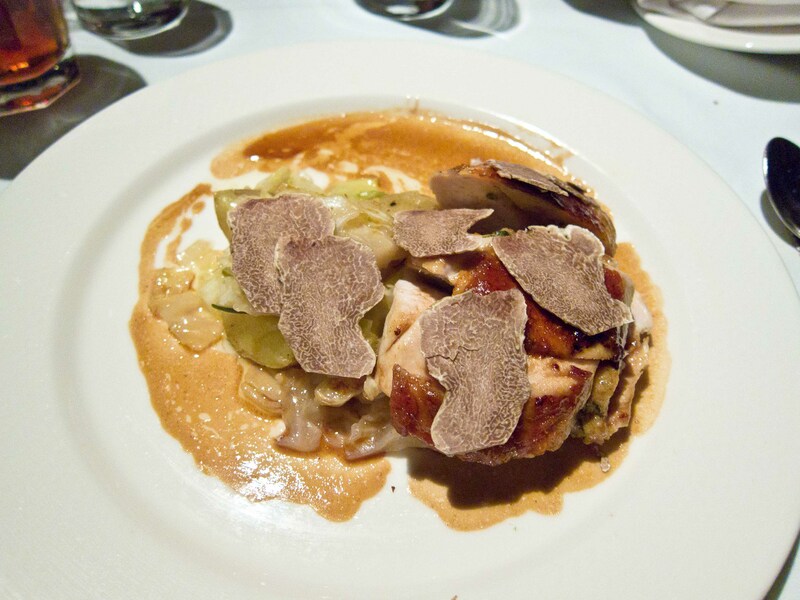 For one week every November, every dish on the menu is designed around the delicate aroma of white truffles, and we wouldn’t miss it for the world. 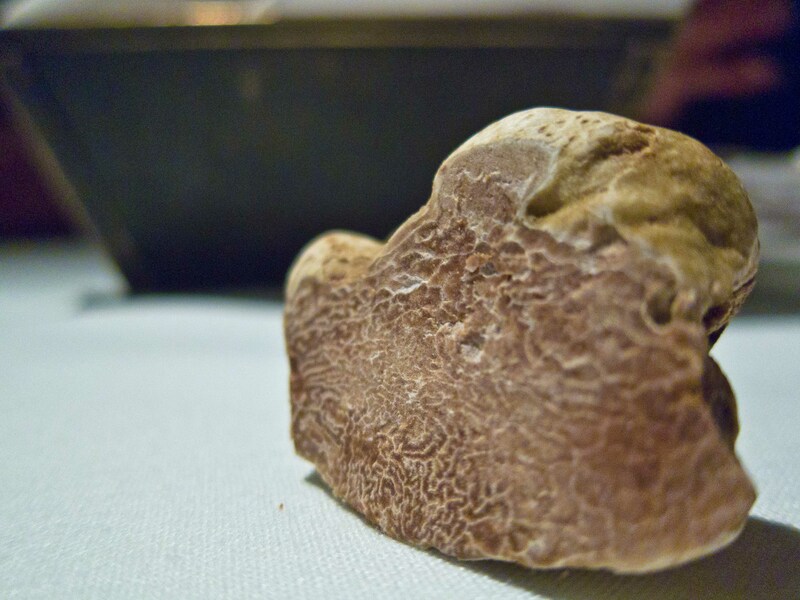 The owners of the restaurant go to Italy themselves to procure the raw materials–little nubbins of a fungus that grows on the roots of oak trees. You can’t plant them, you can’t manage them, you can’t domesticate them. You wander around the forest with trained dogs (the French use trained pigs, but what do the French know?) and dig where the dogs point. The rarity combined with the difficulty of finding them is why the price is so high. 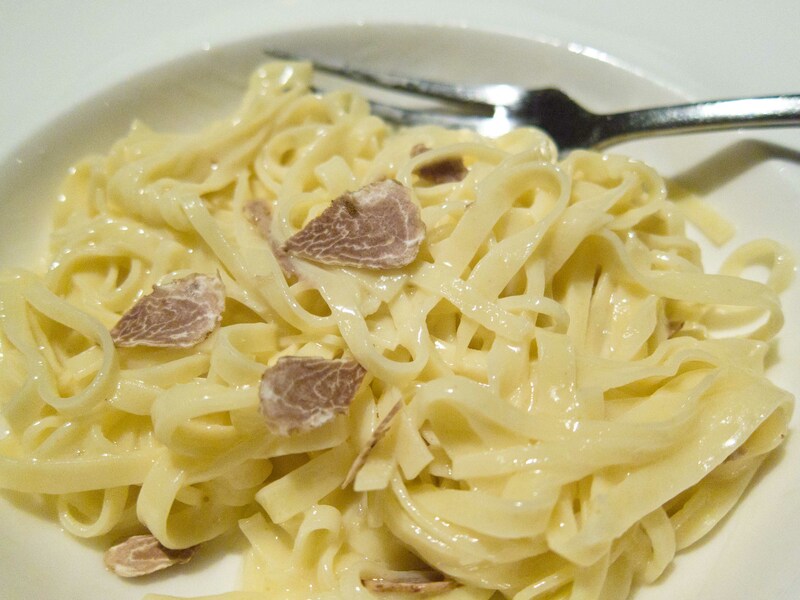 This year Oliveto’s owners came home with 5,700 grams of white truffles–which, if they sell out, will gross $57,000 for the restaurant. In case you’re wondering, 5,700 grams is about 12.5 pounds, or a medium Thanksgiving turkey. Having purchased your little piece of culinary gold, you get to shave it all over your food. The house has an employee who just wanders around with an official truffle shaver helping people out, but the serious foodie in-crowd own their own, so they don’t have to wait. That would be our friend, David. 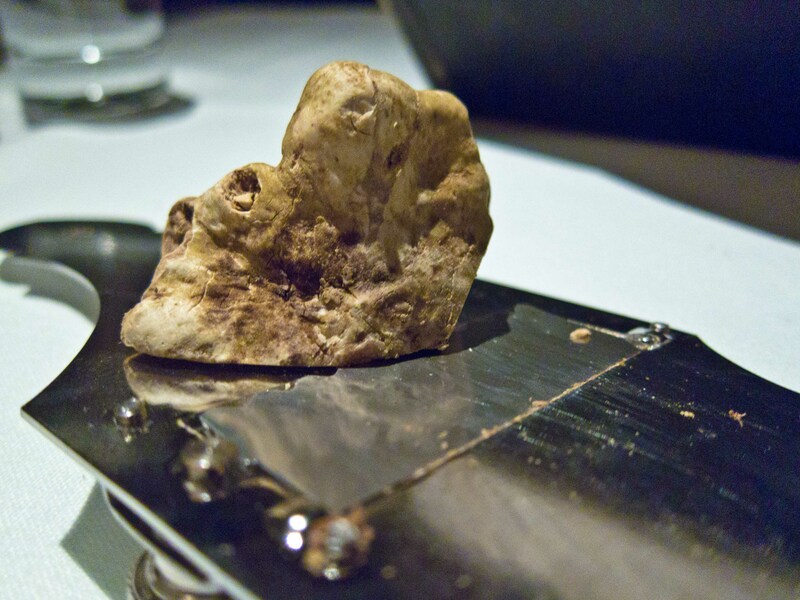 Life is easier when you can shave your own truffles. This is my favorite dish: thin egg noodles in butter sauce. 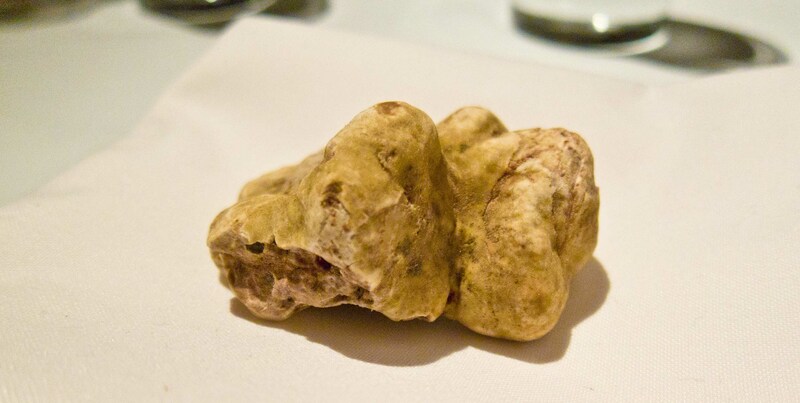 I’d love it without the truffles, with them it’s heaven on a plate. 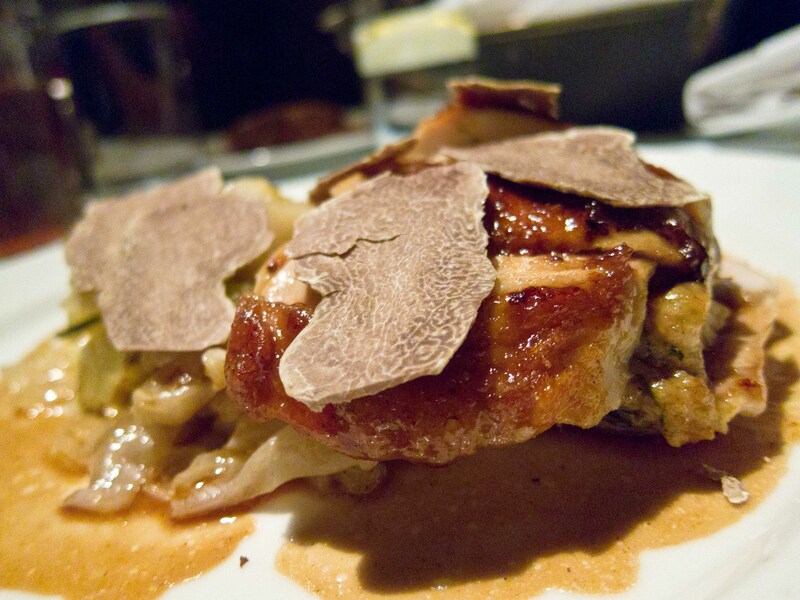 Fontina cheese-stuffed breast of hen with butter-braised cabbage and Yellow Finn potatoes. 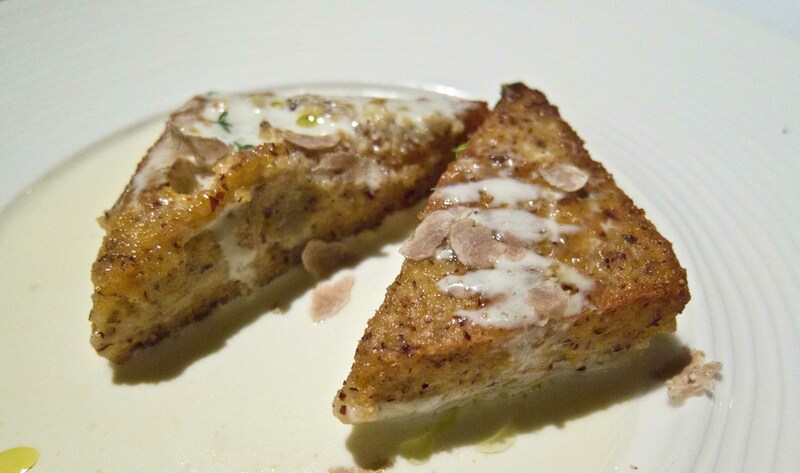 And just a few truffle slices shaved on top. Because the Lees are regulars, the chef, Jonah, came out to say hello. It’s nice to know the important people. He recommends the Raviolo gigande of house-made ricotta and farm egg as being even superior to the Tajarin, if you get a chance to try it out. There aren’t really any truffle desserts, but after all that rich food who could eat dessert anyway? After about two hours, a couple of bottles of wine, three plates of the tajarin and assorted other fine viands, we staggered out into the night air. Next year is only 364 days away, I’m already looking forward to it.